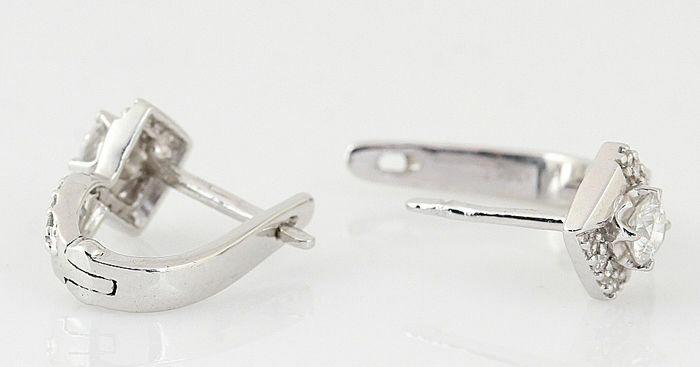 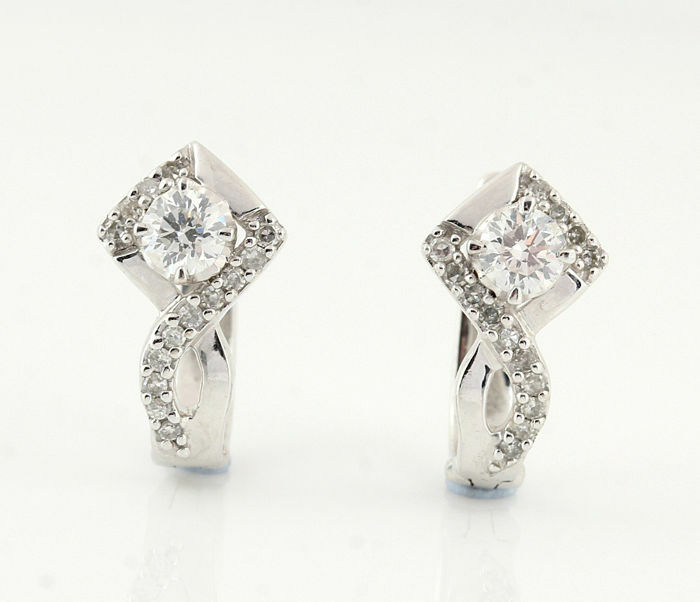 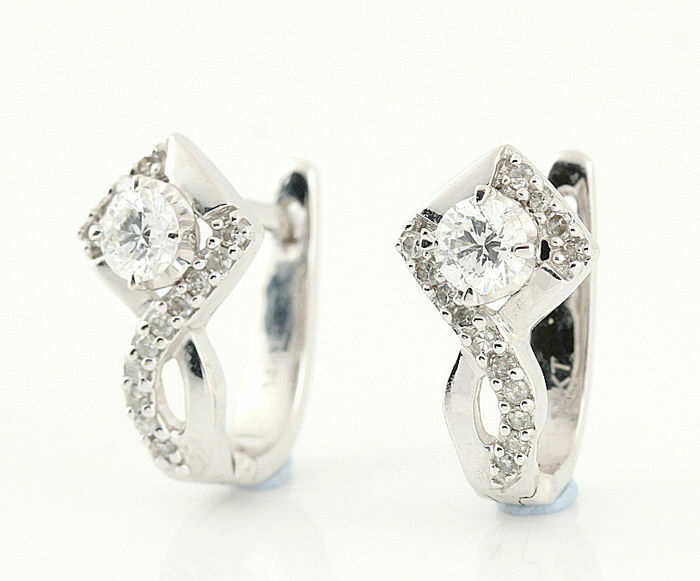 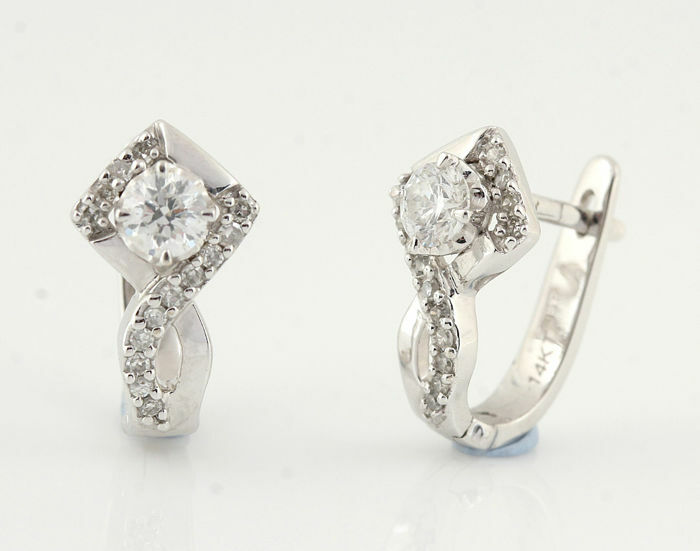 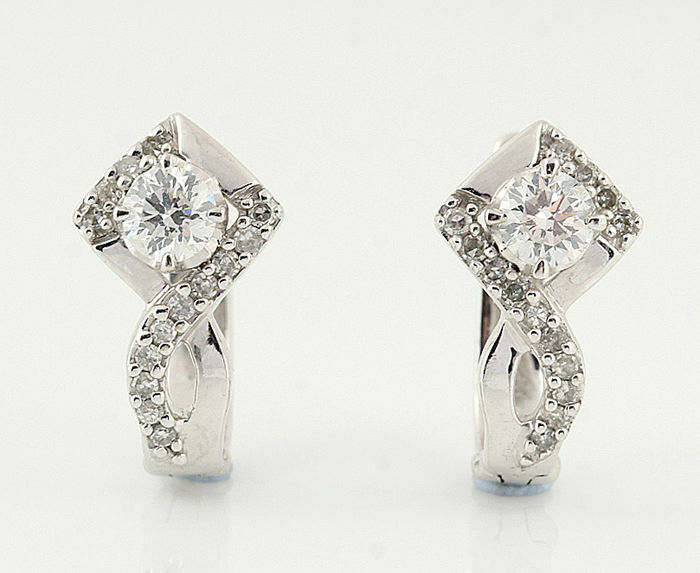 14 kt gold diamond earrings 0.52 ct.
Earrings decorated with 2 brilliant cut diamonds, in total approx. 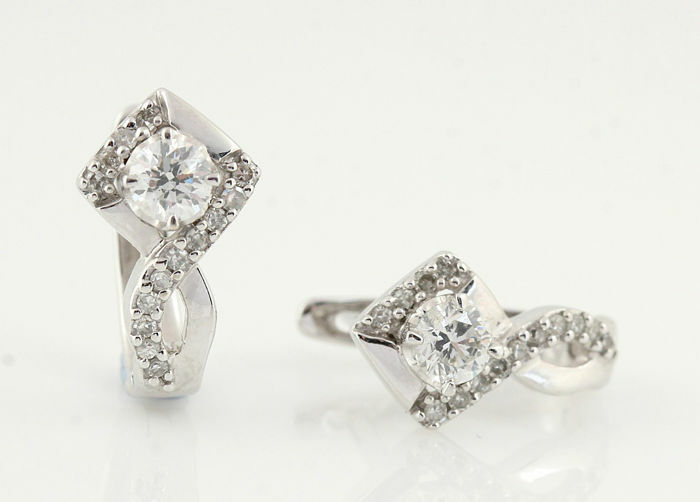 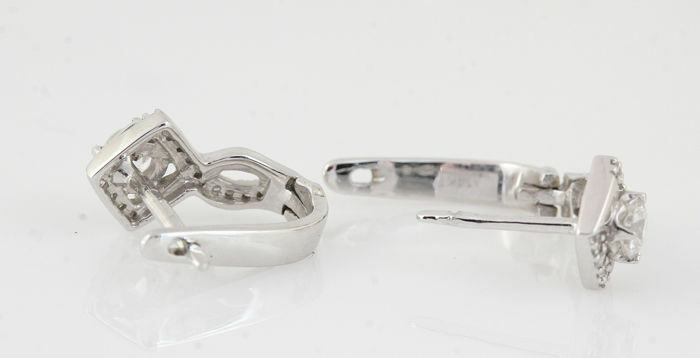 0.18 ct and 28 octagon cut diamonds of in total 0.34 ct. 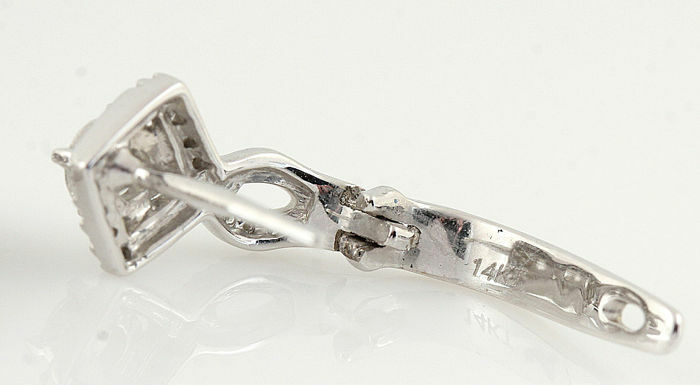 The item will be shipped in a jewellery box, by FedEx.